Just look at this fabulous building – inside is a treasure trove of fashion by one of Australia’s top designers Fiona Scanlan. Come and have a look! Opened last October, the Carlton store is the third retail space for Big by Fiona Scanlan. The other two stores are located in Chadstone and Hawksburn with the ranges sold nationally through the website, leading boutiques and select David Jones stores. The beautiful Carlton premises are right next to iconic cafe and pasticceria Brunetti’s and boast heritage-listed appeal. 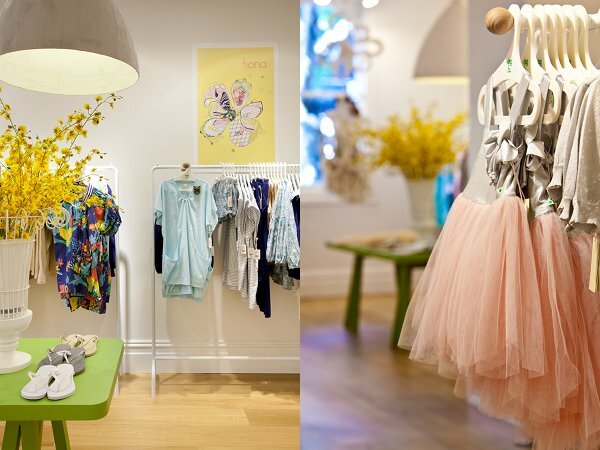 You won’t find any fancy shop fitout here though – the sparse, no frills surroundings play an elegant second fiddle to the stunning fashion ranges for girls aged two to eight. More recently, a second label – Fiona – for girls aged eight to fourteen was released to cater for an age range which can be difficult to dress. The shop feels like home with its embracing of natural light, the garden and the sturdy yet serene feel of the building. Shop the range now to kit out your girls in Boho comfort and style, with floral dresses, playsuits, rompers and jumpsuits. Tones range from ethereal neutrals to snazzy brights with denim patchwork pieces set off by nautical stripes. 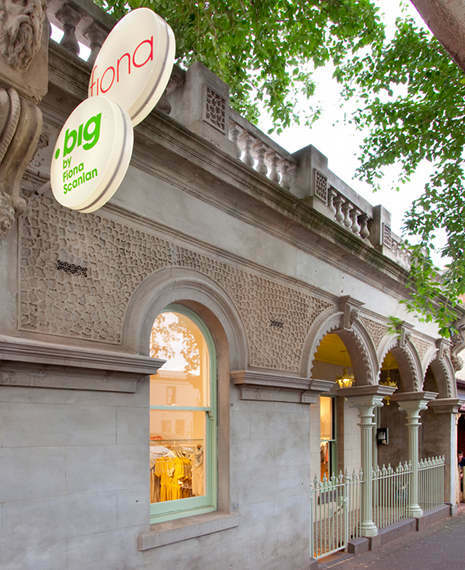 The newest Big by Fiona Scanlan store is at 186 Faraday St, Carlton, Victoria and is open Monday to Sunday from 10am to 6pm. We think a Big store would fit in nicely here in Sydney too – hint hint!